If you are not entirely satisfied with your purchase, simply return the unused item in its original packaging within 30 days from the date of purchase. We do not charge any fees for returns. We will only accept returns for partially used items. Please do not return fully used or empty containers. Buyer is responsible for the shipping costs associated with a return. If a shipment is returned to us due to an incorrect or undeliverable address that you submitted to us, you will be responsible for the shipping fees in order to have the shipment resent to you. 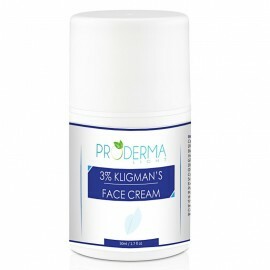 ProDerma Light is not responsible for undeliverable shipments due to an incomplete or incorrect address that you supplied. If you received a damaged or defective item from us, or the wrong item was shipped to you, you will not be responsible for return shipping charges. In such case we will send you returns shipping label for. To obtain a refund for a damage or defective item, the item must be returned to us, unopened, unused with the protective seal of the product still intact. Refunds will be issued within 10 business days after we receive your return. Please allow time for the returned item to be delivered to us, for us to inspect and process the return, and for the credit card issuer to credit your account. For international customers, please note that ProDerma Light will not reimburse or refund for any import duties, fees and taxes charged by the government of your country.